KUALA LUMPUR: Anger is a completely normal human emotion. However, when it gets out of control, it can lead to serious problems or worse, it can even be lethal. Nowadays, for some unknown reasons people seem to be getting angry over the slightest things. A recent example is when a senior citizen was hurled repeatedly with abusive words by a 30-year-old woman for accidentally knocking her new car a few months ago. If you suffer from anger management issues, martial arts is a popular form of stress-buster, martial arts experts say. 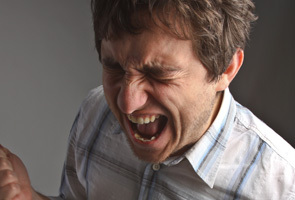 The burning question remains, why do people get easily agitated these days? Is it due to stress, work place, domestic reasons or financial reasons? According to Muay Thai instructor and Merican Muay Thai Gym owner, Saiful Merican, people who learn martial arts will not use his or her abilities to harm other people. Saiful said the reason is because most martial art systems prohibit their students from bullying other people and picking fights outside the ring or the gym. Saiful, who is also a professional MMA fighter at ONE Fighting Championship (ONE FC), said a person who learns martial arts knows that their abilities can actually cause harm to others and they will try as much as they can to avoid that. "He or she who learns martial arts will not use what they had learned freely because they learn to become patient," said Saiful in an interview with Astro AWANI. Recalling his own experience, Saiful said he too, once had anger issues until he started learning Muay Thai at the age of 12. Despite being 'brutal' in the ring and cage, Saiful said he has never been involved in any fights outside the gym. Although he admitted that there were some of his students who used to have anger issues, but they soon learned to control their anger after going through several rigid training sessions. "They used to be angry ... maybe they just had a fight with their friends or bosses but after they went through the vigorous training session, their anger just melt away and they'd feel much better. It's all about where you vent your anger and how you control it," he explained. In Muay Thai, Saiful said the first thing a person learns is respect. They learn to respect their teacher, their training partner and the people around them. "This is because no matter how good you are, there will always be someone better than you," he said. In Thailand, Saiful said they have a special dance called the 'Wai Khru' - a dance performance where fighters show respect to their trainers, audiences and opponents. "When you become a fighter, you don’t feel like picking up fights in the street as you only fight in the ring. You also don’t have any vengeance in you because you see it as a sport," he added. So, is it a good idea to enter a tournament when you're angry? No, said Saiful. It's never a good idea to enter a tournament or fight when you're angry because every martial arts system prohibits one from using their anger. "For example, if one uses his anger, he will forget all his techniques because he tends to focus on his anger and not the fight. Ask any fighter, they do not have hatred towards their opponents," he said. He stressed, in order to enter a tournament or a competition, one must first learn martial arts and only then use it at the right time and the right place, which is the ring. Self-defence or martial arts is beneficial particularly when a distress situation arises. 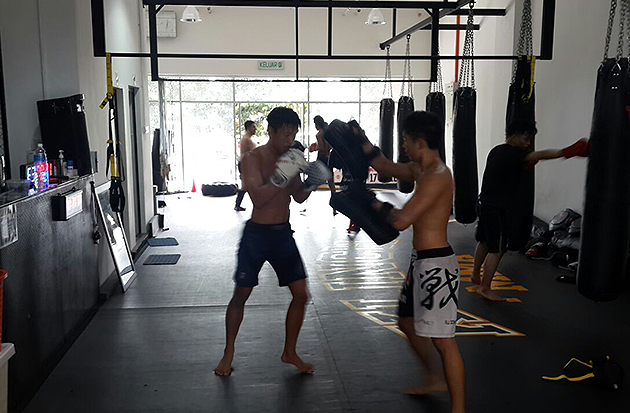 MMA gym owner Chris Leow said learning martial arts can help improve one's anger management skills which is "extremely important to the happiness and success of adults and children". He said, managing stress and learning to handle oneself both physically and mentally are gifts of the martial arts that can be optimised. “When anger or fear dominates you, the rational thinking processes tend to shut down and a constant state of being like this leaves you stressed,” he explained. Chris also said learning martial arts can help people contain their stress responses and teach them how to establish real focus, anger management and self-management. Besides that, people who learn martial arts are also able to learn how to respond to situations which involve fear, learn how to remain calm under pressure, and learn how to make quick decisions under stressful situations, he said. Commenting on why people are becoming ‘angrier’ nowadays, Chris believes that the anger is due to stress. “(When you) Reduce the stress, you reduce the anger and this equates to better living and an overall healthier lifestyle,” he said, adding that he used to be an angry person himself but started to develop a different persona with a totally changed view of life after he started dabbling in martial arts. “Think before you speak and think twice before you act! Remember, in life, every action has its consequences!" he advised. Chris added that the purpose of martial arts and MMA is to train people to have the spirit and mind of a warrior.